David Dubin and Alexandra Halsey Storch of the law firm of Twomey, Latham, Shea, Kelley, Dubin & Quartararo announced the recipients of the firm’s Community Service Scholarships. 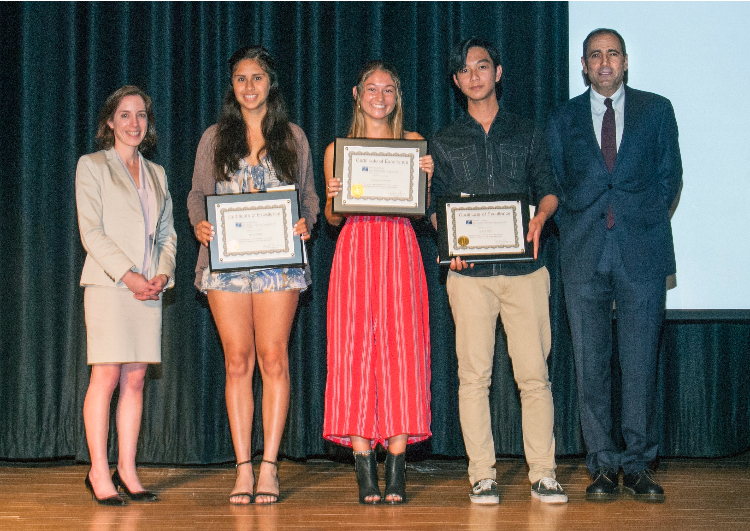 On Thursday, June 7 the 2018 scholarship recipients were announced at the Southampton High School Senior Awards Ceremony. This year’s winners are Keilyn Castillo, Stephanie Schiavoni and Joshua Reyes. Ms. Castillo’s contributions to the community include volunteering at the Teen Leadership Program at The Retreat, a not for profit that provides comprehensive services to survivors of domestic violence throughout Suffolk County. Keilyn also volunteers at Maureen’s Haven, the Southampton Youth Bureau, the Special Olympics, and raises money for Heart of the Hamptons. Ms. Schiavoni is one of the founding members of The Retreat’s Domestic Violence Teen Program. Stephanie participated in a service trip to the Dominican Republic helping to build a school for poor children of the town of Constanza. Mr. Reyes, employed as a Laboratory Aide at Stony Brook Southampton Hospital, quickly impressed management and coworkers with his enthusiasm, energy and intelligence. While working full-time hours, Joshua still managed to continue his volunteer activities at the hospital, as well as volunteering at Maureen’s Haven. The scholarship for each recipient includes a $500.00 check to help with college expenses. 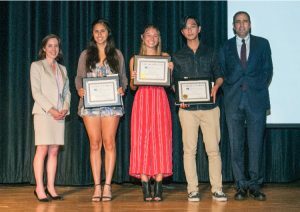 This is the 18th year the law firm awarded scholarships to high school seniors in Southampton, East Hampton, Riverhead and Southold. © 2017 Twomey, Latham, Shea, Kelley, Dubin & Quartararo, LLP. All Rights Reserved.